I love this woman’s chic summer look. The first thing I noticed about this gorgeous woman was her incredible posture. When I asked if I could take her photo she announced, “Of course and do you know how old I am? 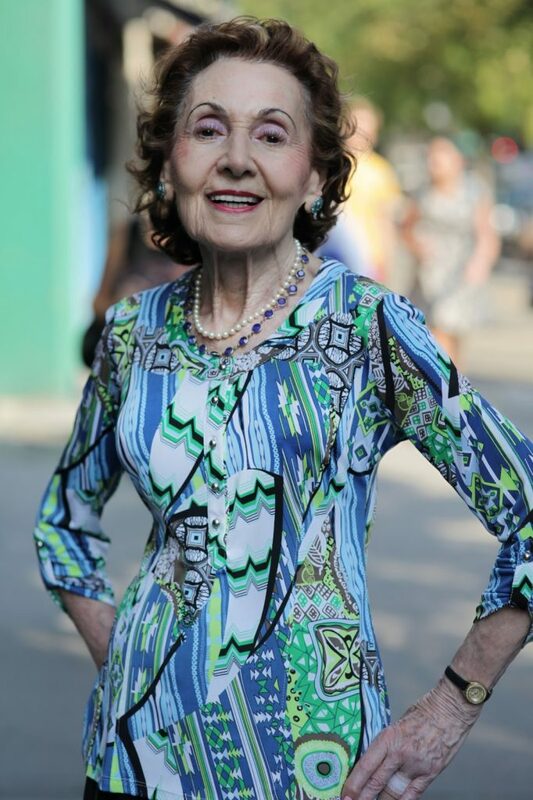 I am 90-years-old.” After taking her photograph I handed her my card and told her to email or call me if she wanted to see the photos. The next day I received a call from her asking me to send her the photo. 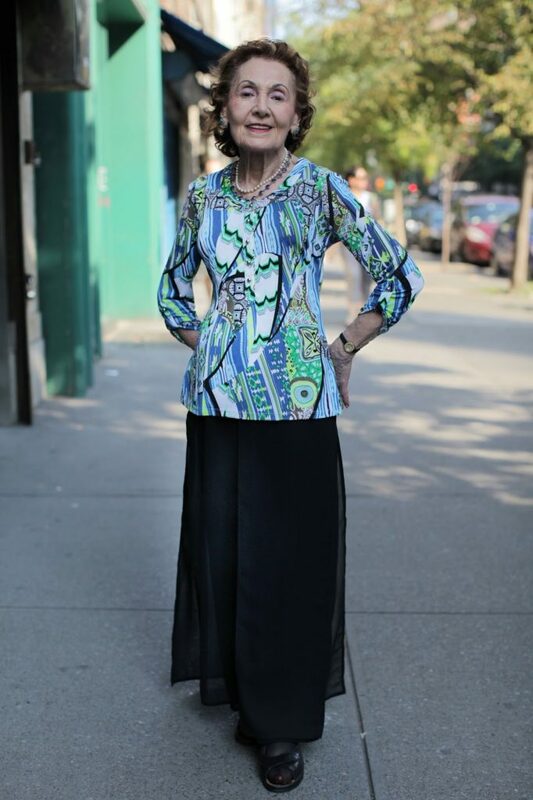 She told me that she started ballroom dancing about five years ago and that she dances about four hours a week. Helena also invited me to come photograph her with her instructor, Manuel Rojas, sometime soon. I can’t wait to meet Helena in her dance studio and find out the secret to her wonderful spirit and vitality.